This is my fourth growth report on OliverKenyon.com. I use these reports to share my progress updates from both a business and a personal point of view. You can view my previous reports here. Wow, that month went quick! When I sit here each month writing my growth report, I open the image app on my MacBook or iPhone to jog my memory of things I’ve done in the previous month. I’m always amazed that I manage to squeeze so much into my months but that’s also what has me buzzing when I sit here and recap it all. I LOVE to keep busy and have to constantly be doing or working on something, so that’s why I just love to look back at what I’ve accomplished in the prior month. October was another busy month, both on a business and personal level. However, business was booming in one particular area, Landing Page Guys. October was our busiest month to date this year and we don’t see that slowing down. As we had experienced last year, all the big advertisers come out of their shells in order to get their product pages and funnels ready for the Christmas period. I will go into more about how we maximise our efforts over Christmas lower down in this post, but let’s just say our team will be worked to the bone over the next few months. I also attended Ad Tech London in October, which was a great show this year. I’ll go into more detail below, but it was great to meet up with so many friends and colleagues. As far as my personal life, I managed to enjoy some great times with friends and family in October, but the main highlight would be getting to dress up as a Power Ranger alongside my mates! All will be explained further down. Firstly, we’re still taking the social scene by storm. If you look back at the update I gave in September’s Monthly Growth Report, you will see I announced we’d just hit HALF A MILLION likes on Facebook. Well as I sit here typing this report up today, we’re currently sitting on 649,000 likes! That’s an increase of 150,000 people liking our page in one month, all via organic reach! It’s amazing the work the team is achieving on the social platforms and it doesn’t show any signs of slowing down. More importantly is the fact that the pre-launch is almost ready to go. If you’ve ever been involved in something as big as this start-up, then you would know the amount of hours of testing, debugging, and optimisation that has to go into the site before we open the flood gates. We’re all working round the clock to get everything ironed out and ready to go this month. In other news, we sent out some manufacture invites to the platform late in October and the response has been incredible to say the least. I can’t share the actual names yet, but let’s just say we have some of the most exotic and desirable super car brands signed up to the platform and ready to back us! My partner Paul was also traveling around the world in October securing different deals and partners in order to maximise our reach and credibility. He was also lucky enough to be invited into an inner circle of super car owners that have some incredible footage and plans lined up, which will all tie into Lovecars. I really hope and believe in my next month’s Growth Report I’ll be sitting here typing about our pre-launch competition success. The team managed to pull off a successful launch of the all new webmaster forum and latest addition to the FixForums portfolio: WebsiteFix.com. I’m lucky to have built up the BEST team of forum designers, developers, and migration specialists whom all were a big helping hand in launching the new forum. As I mentioned in my September Growth Report, we recently purchased UKWebmasterWorld and were planning on relaunching it under the new brand WebsiteFix. You can read the full press release and article here. We’re super encouraged by the feedback and uptake we’ve had on the new launch and are now working hard to maintain the users and engagement, which is always hard when you first launch a forum. We’re currently working behind the scenes to encourage more companies to join our resource section as we want it to be as successful as AffiliateFix’s listings but for webmaster resources. We envision it being the future place to go to get reviews and interact with hosting, domain, tracking, and all other webmaster companies. If anyone reading this is interested in starting their own forum, I’ve started an “Ask Me Anything” thread on WebsiteFix whereby you can ask me anything you wish in order to receive some help and advice. You can Ask Me Anything by clicking here. Thank you to every one of you readers that have joined up and supported the launch. In other news, we’re also currently working on a new corporate website for the FixForums brand. I’ve always wanted to have a counter that counts the amount of users, posts, and discussions we have across all of our forums in one place, so I’m hoping that will be a main feature on the new site. We also need somewhere to showcase our fantastic team and portfolio of forums as we expand the business. October also marked another milestone for AffiliateFix as we broke the $3000 prize money bracket with our amazing sponsor Mobicow. Each month, we’re giving away $500 to one lucky AffiliateFix member, which you can view here. As I mentioned in the intro, October has been the busiest month this year for the team at the Landing Page Guys. This is largely down to the fact that Christmas is fast approaching and advertisers are getting ready for the festive period and New Year. Obviously people spend money over these periods and also most people are programmed to start a New Years resolution. This is often to “get fit” or “improve my health,” which has a direct effect on the spending on products in the weight loss, fitness, beauty, and other markets. If you’d contacted me last December for landing page or website work, I’d have unfortunately had to turn you away until the new year as we were so fully booked. I think our regular clients have learnt to get in a few months early so I fully expect this wave not to slow down, and in fact, to speed up until at least February now. 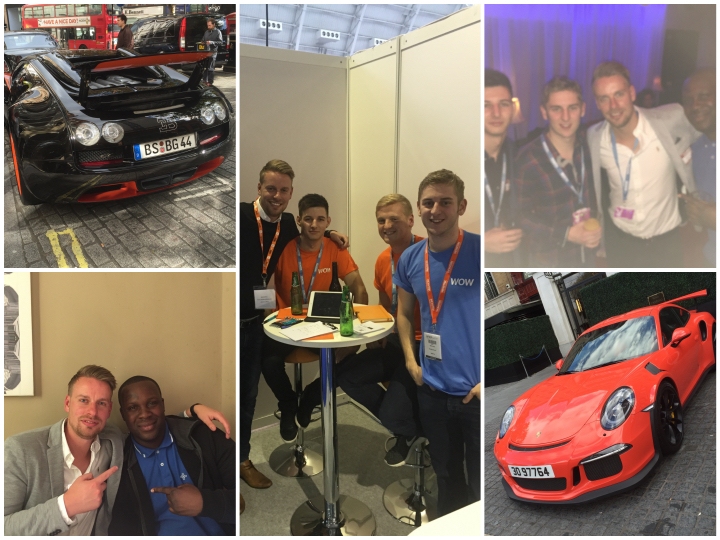 Another reason October was so busy was because we had a great show at Ad Tech London. Unfortunately my partner in crime Andy was ill, so we decided to treat one of our members of staff, Paul, to his first internet marketing event. The show was awesome this year and made even better by the fact that we had some good meetings and new faces to meet. We first connected with a long time client of ours who I’d never previously met face to face, so it’s always nice to do things properly. We enjoyed lunch together and mapped out the next projects we’ll be creating for him and his team. I also bumped into several members from AffiliateFix, which was AMAZING! It’s such an honour to get asked to meet different people all through a platform you built, so that was super exciting for me. After several hours of meetings and walking the floor, we were invited by my good friend and client Matt Lovett from the WOW Trk network to be his VIP guests at the London Affiliate Party in Mayfair. We headed back to the hotel to freshen up before meeting my other good friend Tai, aka CashMoneyAffiliate, for dinner in Victoria. After enjoying a few drinks and catching up with Tai, we headed to Mayfair for the party. I won’t go into detail about the party, but as you can imagine, it featured lots of free alcohol, music, and plenty of networking with potential clients and friends. The moment we knew we’d had enough was when my colleague Paul turned to me and said “K, you’re pouring grey goose into everyone’s champagne”. We called it a night after that point, but not before enjoying some late night food with Yancy Naughton from WantsTraffic. Thanks to everyone for the great event, and to Matt, Yancy, and Carl for looking after Paul and me at the party. Another reason as to why October was so busy and doesn’t look like slowing down is due to an article I posted on my blog titled: 16 Landing Page Tips You MUST Be Using. I had several requests to share the blog post on other sites so I went ahead and posted it on AffiliateFix, Stack That Money, and AffPlayBook. 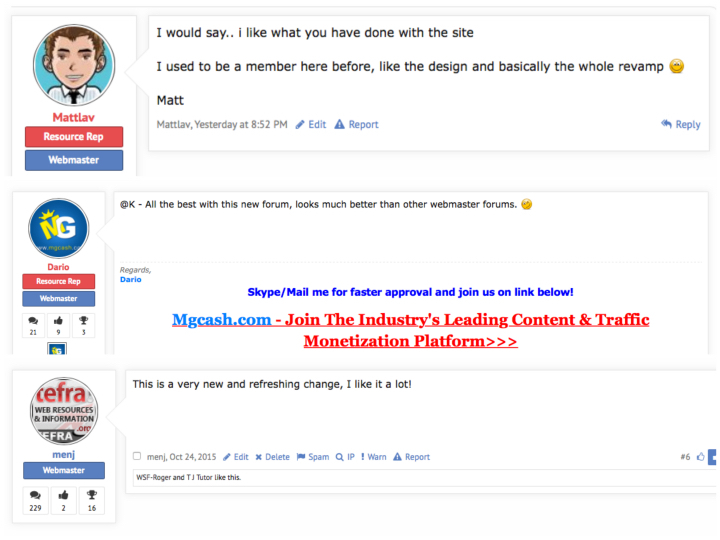 Since posting several days ago, we’ve been inundated with new leads asking for help and advice with their landing pages, not to mention some incredible feedback. Native advertising is VERY much alive! Again I’m super happy as I managed to stick to my schedule of one blog post a week or four a month. If I can continue to stick to this, I think I’ll vastly improve my writing skills amongst hopefully adding value to myself and my readers along the way. The best things to come from my blog last month was the feedback I received on all different mediums about my landing page tips article, and also the amount of shares my “5 Business Lessons” received on Facebook. It really seems like people are starting to come back to the blog and are really enjoying my content, I hope?!?! In fact, in October I received a significant amount of praise and feedback that really encouraged and justified why I started this blog. I also received some recognition on various other blogs and news channels, and I was really excited to receive my first invite to do some public speaking/presentation, as well as a private mastermind meet-up of which I’ll keep you informed with progress. I still haven’t had time or made time for making the most out of my Facebook and Twitter pages alongside this blog, but that’s something I MUST get done in November. Liverpool has a NEW manager! So as you probably know, I’m a HUGE Liverpool F.C. fan, and I often make the 6-hour round trip to go and watch the boys at Anfield. I was very upset when Rodgers was sacked, but I think we’ve replaced him with one of the most exciting and best managers in the game at the moment. Still unbeaten, the “Normal One” Klopp brings a charisma to the club that no other manager since the likes of Paisley and Shankly have. I’m super excited to see how far he can take us. I also woke up to the news/rumour this morning that my idol and Liverpool’s greatest ever player Steven Gerrard is coming home! Can it be true? There has been no further progression on our new house/property this month as we’re still waiting on solicitors and estate agents. We’re just hoping we get the keys before Christmas so we can have some cosmetics done on the house before we move in, in the new year. I’ve also been talking with my accountant about potentially securing my first buy-to-let property early next year, which I hope will be the first of many. If you read my 5 business lessons blog post, you will gather that I’m NOT a huge fan of the UK government and speaking with my accountant only increased this! The laws have recently changed on buy-to-let properties in the UK so a lot of planning will be needed when I make the next move. Aside from the amazing night out in London and Ad Tech, I also enjoyed one of the best Halloweens ever! 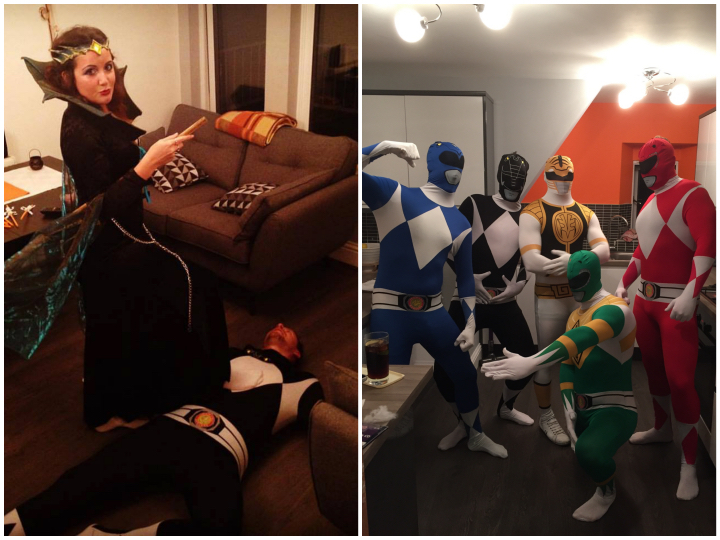 My closest mate Nick put on a party at his apartment, and we all chipped in to get these amazing Power Rangers costumes! 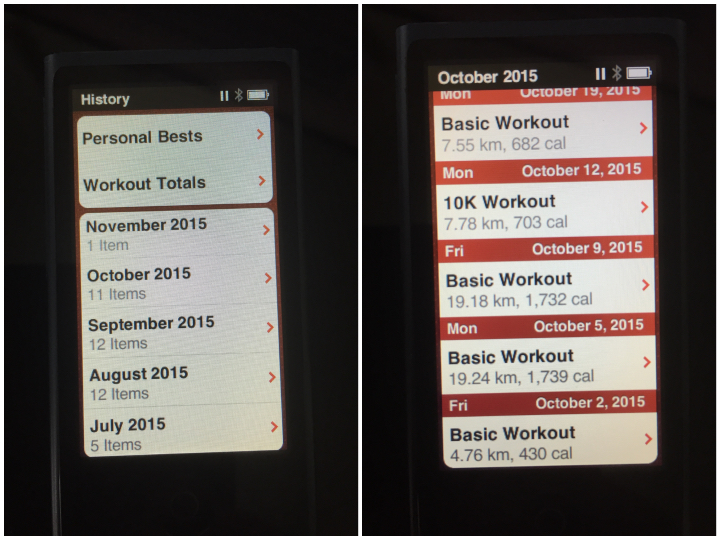 As far as my fitness goes, I’ve kept up the distance of doing at least 5k+ runs now. I never do anything less, and although I’ve been running one time less a week due to now playing football on a Thursday, I managed to outrun last month’s total distance by miles! This was due to one week feeling like I could run a marathon and managing to do two 19k runs in one week. I felt quite lethargic at the end of the month due to the hours changing and the nights getting colder and darker, but I’ve bought some winter running gear and will try shake that feeling off at the start of this month. Right that’s October done, onto a busy November and to see Q4 out strong!